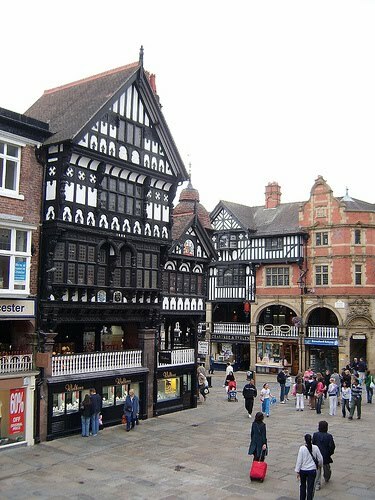 Chester is a place that I would have spent a day or two in, then moved on. But the architecture is so special, I did an organised tour of the Rows and loved every moment of it. Is there any other city with a similar architectural arrangement, even vaguely similar? Just one comment about the materials used. If fire was a constant nightmare to medieval cities, why reuse timber post-fire?